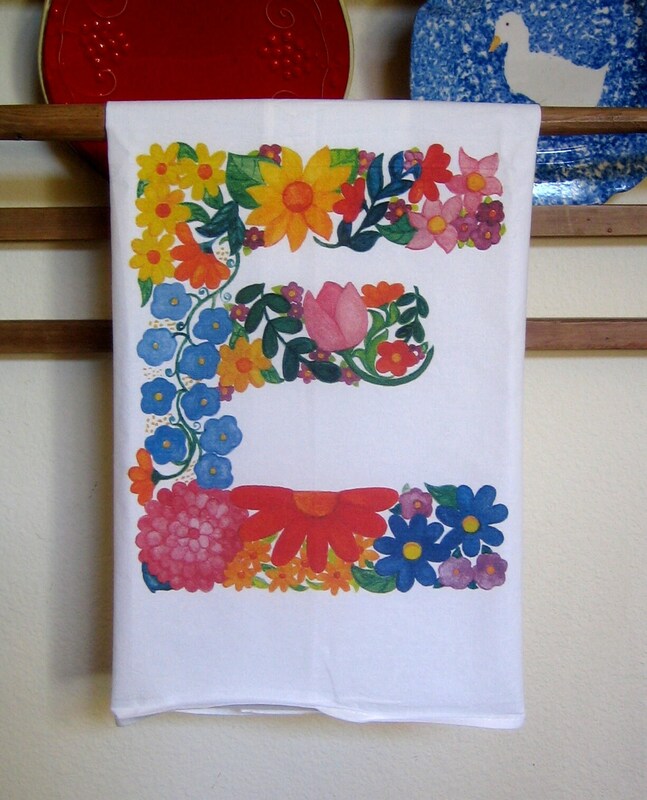 Monogram Kitchen Towel Letter "E"
Letter "E" flower watercolor painting scanned at high resolution and digitally printed on nice quality, nice weight, large (30x30) cotton kitchen towel. Letter is printed bottom edge center and is appx 10" across. Other available letters are A. B. C. D. M, S. More soon.